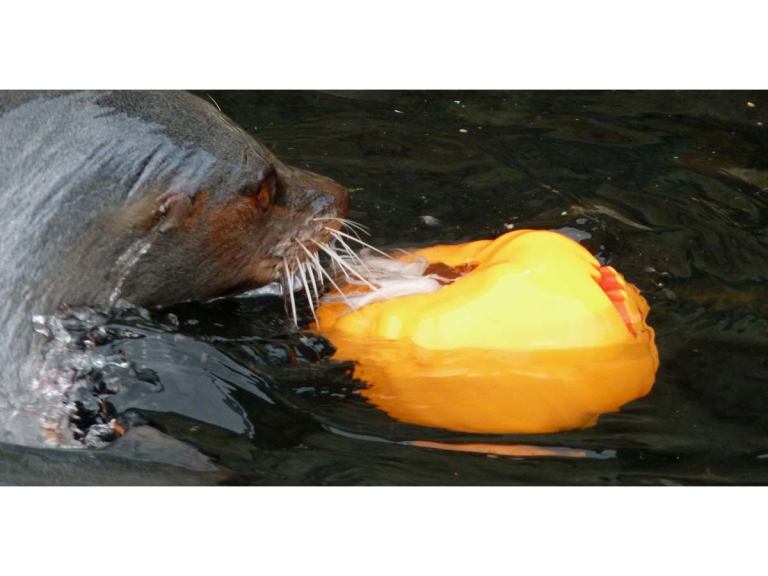 Keepers at Torquay’s coastal zoo floated the pumpkin in the seal pool and the seals attacked it enthusiastically to get the fishy delight. As the pumpkin was encased in ice, they had to wait for this to melt in the salt water before they could reach their prize. Tamar was named by local business Tamar Telecommunications. Managing Director Jamie Christoforou made a successful bid for the right to name the pup at Paignton Zoo’s charity adoption auction. For more information go to www.livingcoasts.org.uk or ring 01803 202470.